A relative of a missing passenger has reportedly received a text message from an unknown sender, stating that the plane made an emergency landing and all passengers are alive. The Indonesian Transportation Ministry is examining these claims. BALI (INDONESIA), December 28 (Sputnik) — Indonesian Ministry of Transportation is currently verifying information claiming that the missing AirAsia aircraft has made an emergency landing in the eastern part of the Belitung island in the Java Sea, the ministry's representative said Sunday. "We at the [crisis] center [in Jakarta] have not received such information yet. According to some data, our colleagues in Surabaya have learned it. We are currently checking this," the ministry's representative J. A. Barata told Detik.com. AirAsia flight QZ8501 en route from Surabaya, Indonesia to Singapore, lost contact with air traffic control at 07:24 a.m. local time (00:24 GMT) and went missing. Earlier in the day, AirAsia issued a statement confirming the crash of the aircraft, while the Indonesian Ministry of Transportation said it was not ready to confirm this information. Fate of 162 people on board remains unknown. Search and rescue operations are being conducted by the Indonesian National Search and Rescue Agency (Basarnas) under the guidance of the Indonesian Civil Aviation Authority (CAA). Malaysia, Singapore and Australia have also offered to assist in search for the missing aircraft. AirAsia Indonesia operates domestic flights within the Indonesian archipelago and international flights to Malaysia, Singapore, Australia and Thailand. 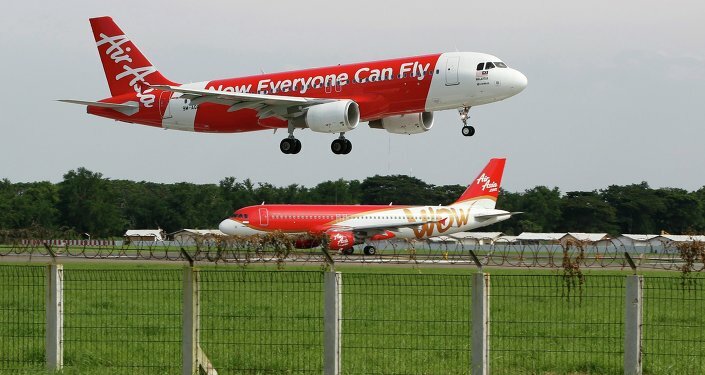 The company is an affiliate of the Malaysian company AirAsia. In 2007, AirAsia Indonesia was banned from operating flights to the European Union (EU) due to safety concerns; however, the ban was lifted in July 2010, the BBC reports.